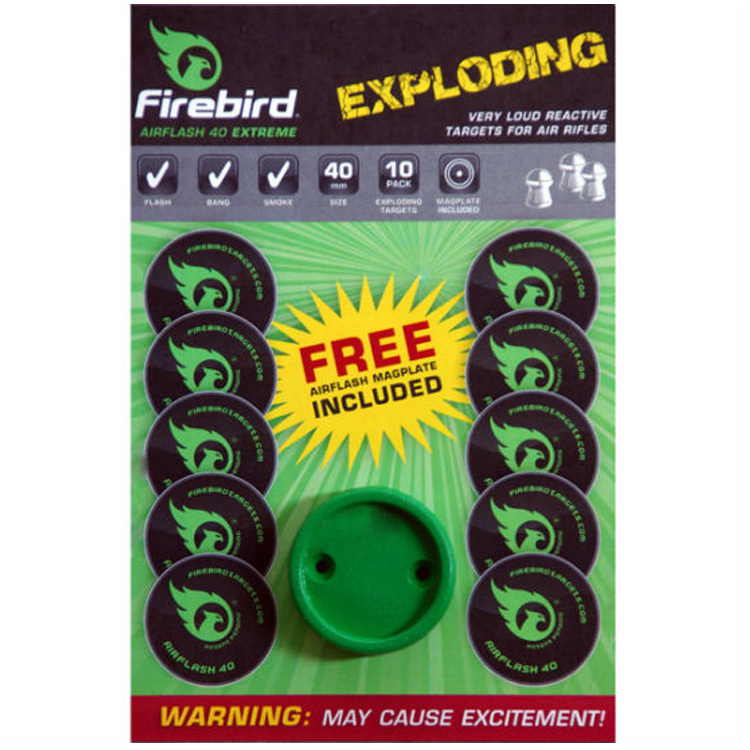 This Firebird Target is aptly named AIRFLASH EXTREME and is available as a 40mm target and has been specifically designed for use with air rifles. 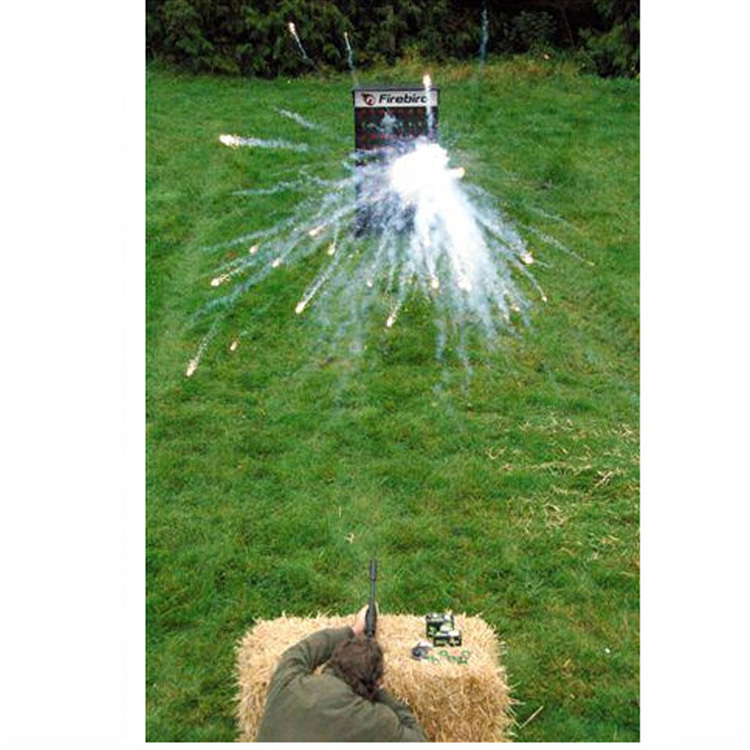 Once placed in a an Airflash Magplate (included in every packet) and on impact from an air rifle pellet, the target ignites in order to reflect a direct hit producing a significant pyrotechnic reaction and loud report. Target shooters will enjoy the effect and gain a great sense of achievement when hitting their target.